Healthy Life is an Australia based retailer of natural, organic and eco-friendly cosmetics, vitamins, supplements and food items, with over 50 stores across Australia. Healthy Life did not have an ecommerce presence. Their business was based on traditional brick and mortar stores. As part of their expansion plans, the company wanted to branch out into ecommerce and was looking for a reliable ecommerce development partner to help them make this transition. The company wanted to create their ecommerce site on the Magento 2 platform, but lacked the expertise to create the web store in-house. They also wanted to integrate the new Magento 2 site with their Dynamics AX ERP. Folio3 also integrated all the web store with Healthy Life’s Dynamics AX ERP, via our Dynamics AX Magento Connector. The integration provides seamless transfer of orders and customers, item data and inventory levels, fulfillment, payments and refunds between Magento and the Dynamics AX ERP. The Magento 2 web store together with the Dynamics AX integration was made live within a span of four months. 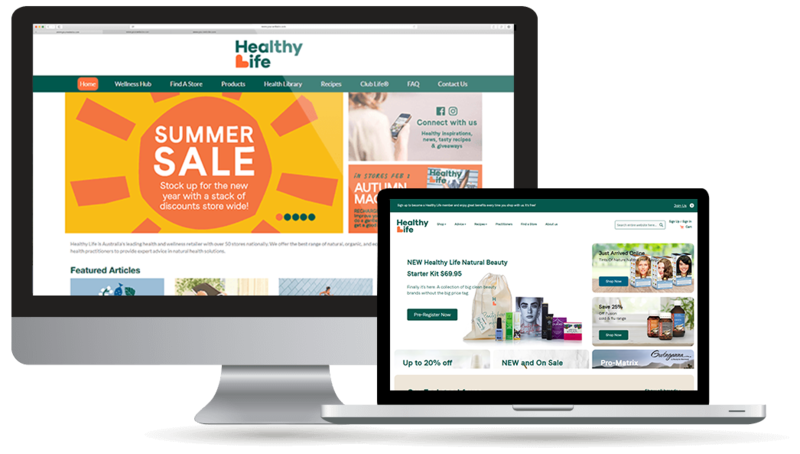 Thanks to the new Magento 2 storefront, Healthy Life has been able to double its monthly sales revenue, while reducing their sales support staff (from a team of 5 to 2). The company’s customer base has also expanded considerably with new customers signing up on the web store. The partnership is on-going, with the Folio3 team adding new features and updates to the web store. “Thought you may want to know that I’ve worked with a lot of agencies and outsourced development houses overseas over my time and your business is one of the most impressive I’ve dealt with. So professional, great communicators, reasonable, commercial and nothing is ever a problem. You guys are an absolute pleasure to work with! ”.